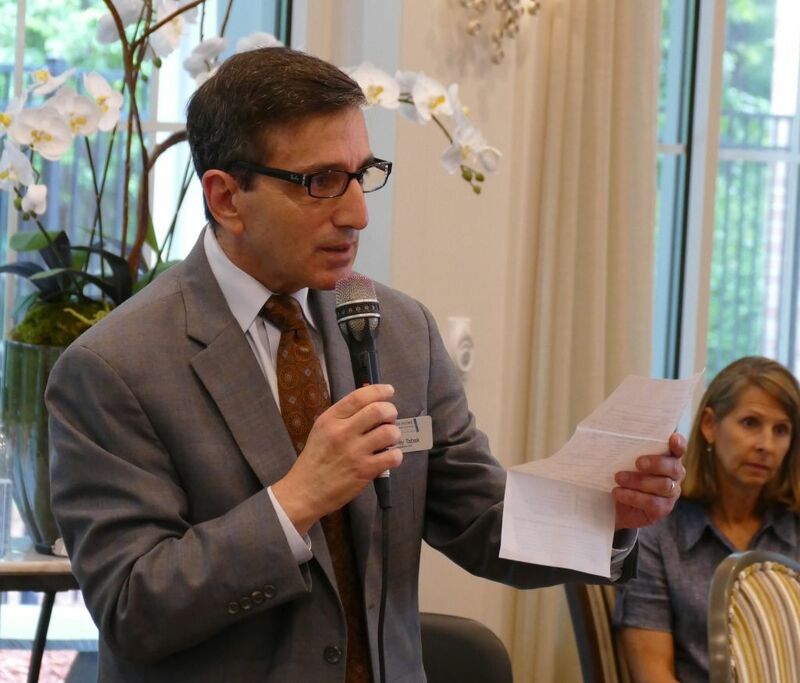 The Cohen Home was rededicated in a celebration of life after renovation June 4. Congregation Gesher L’Torah Rabbi Michael Bernstein places and blesses one of two mezuzot around the dining room with the help of Cohen family members Lynda and Joel Schaffer. 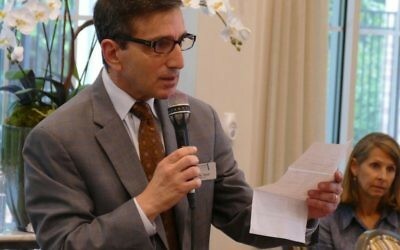 The Cohen Home was rededicated in a celebration of life after a $2.5 million renovation Sunday, June 4. 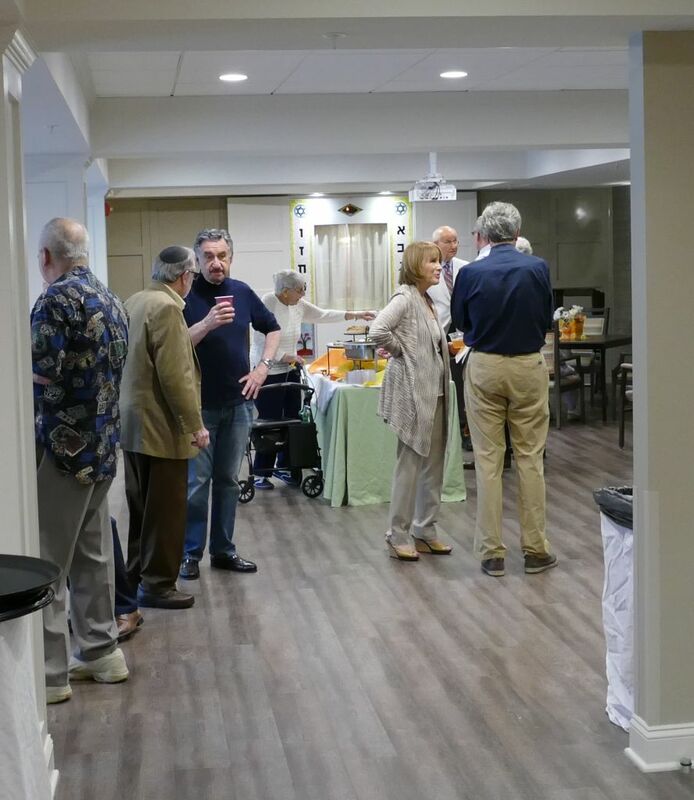 The Jewish Home Life Communities assisted living facility’s new look, featuring open spaces, large windows and lots of light, fits its integration into the Hearthstone Institute’s I’m Still Here approach to memory care. Staffers across JHLC’s residential facilities are being trained in the program to provide a continuum of care and establish the nonprofit as the only I’m Still Here center of excellence in Georgia. 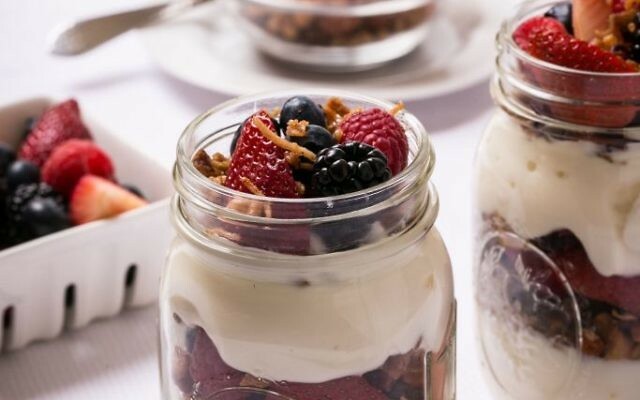 By emphasizing opportunities to experience life instead of what is lost as memory declines, the program reduces the apathy, anxiety, agitation and aggression of dementia. Guests have refreshments in the new sanctuary space before the rededication ceremony. The ark at the far end features Gary Saban’s artwork. “What we see here is just short of amazing. 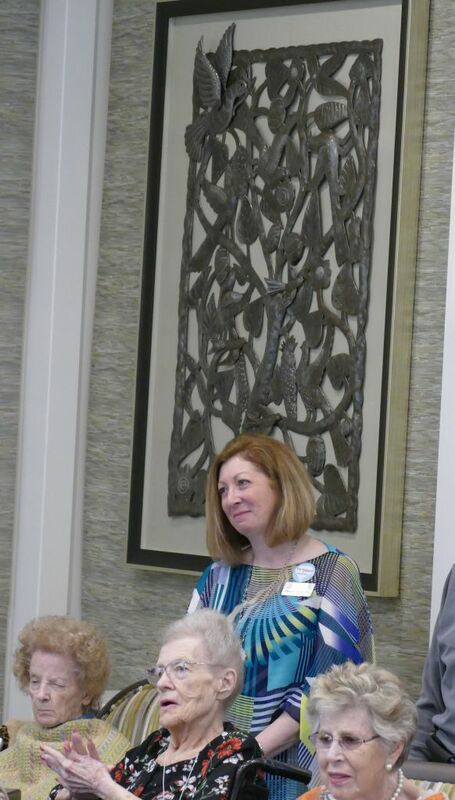 If you look around, you see a community of comfort, a community of caring and just a community of love,” said Deborah Maslia, the chairwoman of the JHLC board. Rabbi Chaim Lindenblatt, in one of his first actions after officially assuming the role of Jewish Home Life Communities’ director of Jewish life June 1, offers a variation on the priestly benediction to bless the rededicated Cohen Home. 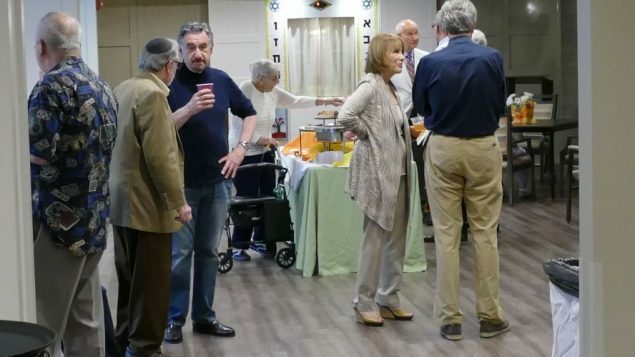 She said the Cohen Home is well placed to aid the growing, aging Jewish population in the North Metro area, a need noted in the market study recently released by the Jewish Federation of Greater Atlanta. 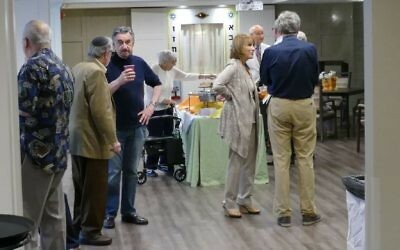 Federation President and CEO Eric Robbins attended Sunday’s event. “We cherish each of the lives of the people who live here,” JHLC President and CEO Harley Tabak said. 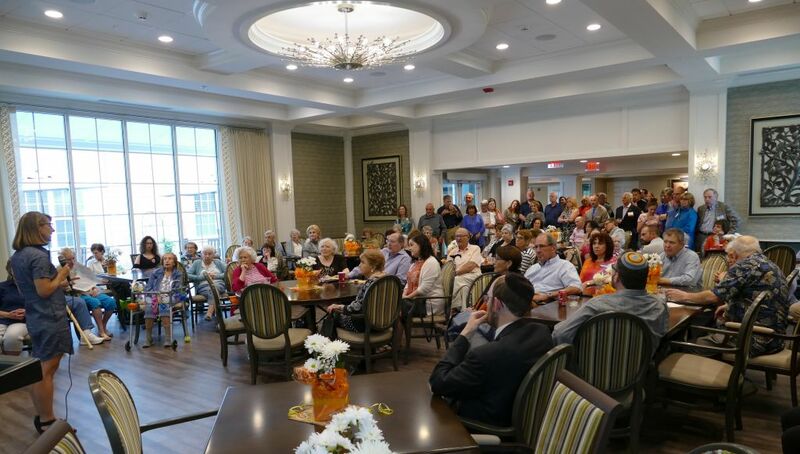 Rabbi Chaim Lindenblatt, JHLC’s new director of Jewish life, said the new dining area where the rededication was held enables the residents to enjoy one another in a more haimish (friendly and homey) way. The Cohen Home is named for philanthropist Philip Cohen, and his niece Lynda Schaffer and her husband, Joel, renewed the family’s commitment to the home by helping Congregation Gesher L’Torah Rabbi Michael Bernstein and Rabbi Lindenblatt post two mezuzot on doorways leading out of the dining room. 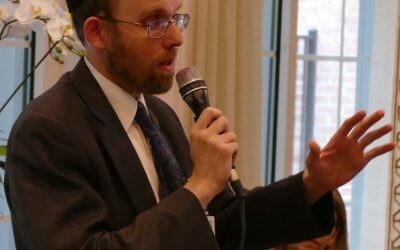 A mezuzah goes where life happens, Rabbi Bernstein said. 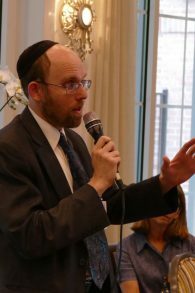 He noted that the Hebrew word for life, chaim, has a plural form, reflecting the way we live among others and give one another life. 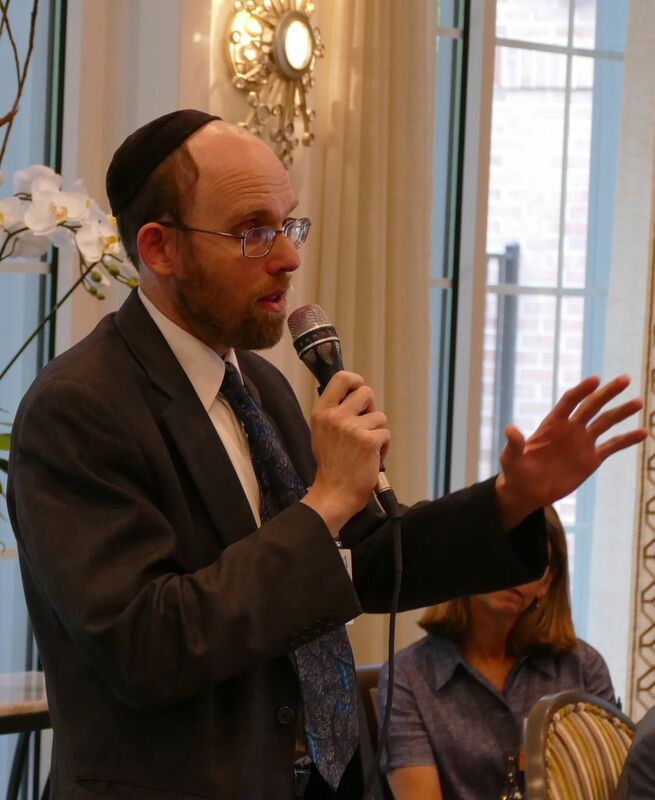 In much the same way, Gesher L’Torah, Congregation Dor Tamid and Chabad of North Fulton form a community that supports and is supported by the Cohen Home, Rabbi Bernstein said. 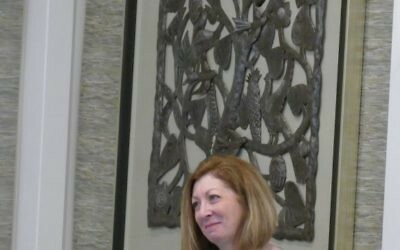 Executive Director Melissa Hyatt “pushed and pushed” to beautify the Cohen Home and make it more livable, JHLC President and CEO Harley Tabak says. 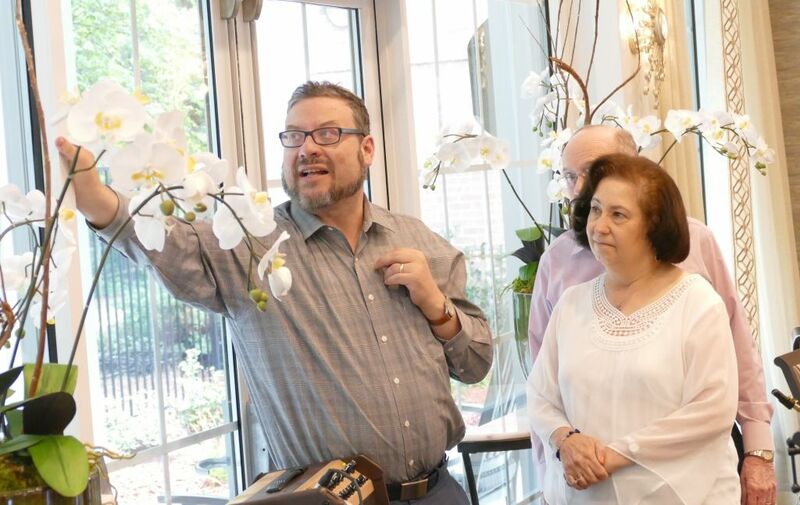 With Deborah Maslia watching, Jewish Home Life Communities President and CEO Harley Tabak thanks construction professionals, board members, staffers and volunteers who helped complete the Cohen Home’s $2.5 million renovation. 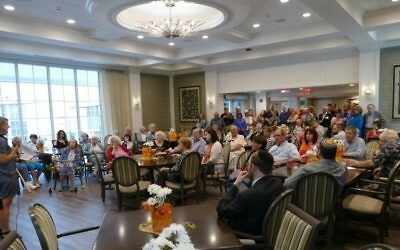 Speaking in the new farm-style dining hall, Jewish Home Life Communities board Chairwoman Deborah Maslia says the upgraded facility matches quality of the Cohen Home’s care and service.